It’s hard to believe it’s been 10 years since YouTube debuted its first video on April 23, 2005. Now, a decade later, YouTube has more than 1 billion users. I’m so grateful to YouTube. In fact, it’s the medium that’s been largely responsible for my success. 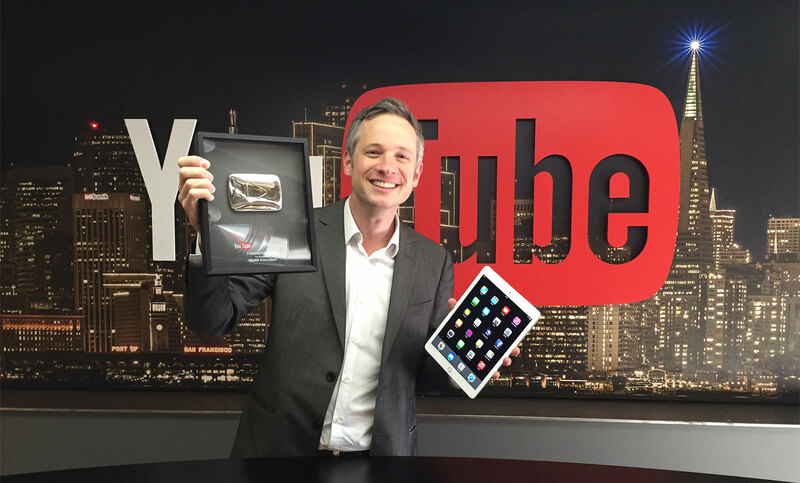 It was about four years ago when I started my YouTube channel, iOSMagic, and ever since then, the video-sharing service has helped me perform my iPad magic to audiences far and wide. Not long after I started my YouTube adventure, I enjoyed the success of my first viral hit. It happened when I uploaded a video of iPad magic, where I gave a little demo of my iPad loaded with software that I claimed was “the new iPad operating system” — iOS 5 at the time. No, it wasn’t iOS 5, but it was a string of iPad magic tricks that caught the eye of popular social-media site Mashable. As soon as Mashable wrote a story about that video, it went viral. That video helped to open a door for me, making it easy for me to show my iPad magic to audiences around the world today. YouTube treats its users well. Besides sharing its revenue, it recognizes successful users. For instance, the company gave me a lovely plaque (see picture at the top of this post) when my site reached 100,000 subscribers a couple of months ago. My channel has enjoyed well over 22 million views, and with your help, I’m hoping there will be many more. Isn’t YouTube wonderful? There’s something great about the ability for everyone and anyone to upload videos from anywhere onto a site that’s frequented by so many people. This YouTube 10th anniversary is no surprise. It’s an eminently useful site that gives worldwide broadcasting capabilities to everyone. Congratulations, YouTube! I wish you continued success with your revolutionary site that has democratized video for the entire planet.